CMMI model can be used to guide process improvement across a project, a division, or an entire organization. It helps integrate traditionally separate organizational functions, set process improvement goals and priorities, provide guidance for quality processes, and provide a point of reference for appraising current processes. It is also links it all to the organization’s business objectives and also maintains a focus on meeting customer expectations. 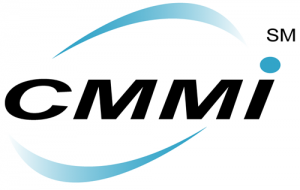 CMMI was developed by a group of experts from industry, government, and the Software Engineering Institute (SEI) at Carnegie Mellon University (CMU), Pittsburgh, USA. CMMI models provide guidance for developing or improving processes that meet the business goals of an organization. A CMMI model may also be used as a framework for appraising the process maturity of the organization. CMMI is the successor of the Capability Maturity Model (CMM) or Software CMM and the current version of the CMMI is Version 1.2 was released in August 2006. Learn from new areas of best practice (e.g., measurement, risk). CMMI is a collection of best practices that meet the needs of organizations in different areas of interest. A collection of best practices that cover a particular area of interest is called a CMMI model. (3) Product and service acquisition — CMMI Version 1.2 for Acquisition (CMMI V 1.2 -ACQ). CMMI Version 1.2 for Development addresses the product and service development processes. CMMI Version 1.2 for Acquisition addresses the supply chain management, acquisition, and outsourcing processes in government and industry. CMMI Version 1.2 for Services (CMMI V 1.2 -SVC) addresses guidance for delivering services within an organization and to external customers. CMMI exists in two representations are Staged and Continuous, and these representations are also known as Maturity and Capability levels respectively. The staged representation is designed to provide a standard sequence of improvements, and can serve as a basis for comparing the maturity of different projects and organizations. It is offers a systematic, structured way to approach model-based process improvement one stage at a time. If an organization does not know where to start and which processes to choose to improve, the staged representation is a good choice for the organization. The continuous representation is designed to allow the user to focus on the specific processes that are considered important for the organization’s immediate business objectives, or those to which the organization assigns a high degree of risk. It is offers maximum flexibility when using a CMMI model for process improvement. If an organization knows the processes that need to be improved in the organization and organization understand the dependencies among the process areas described in CMMI, the continuous representation is a good choice for the organization. Process that either is not performed or partially performed. Performed process is a process that satisfies the specific goals of the process area. Managed process is a performed (capability level 1) process that has the basic infrastructure in place to support the process. Defined process is a managed (capability level 2) process that is tailored from the organization’s set of standard processes according to the organization’s tailoring guidelines, and contributes work products, measures, and other process improvement information to the organizational process assets. 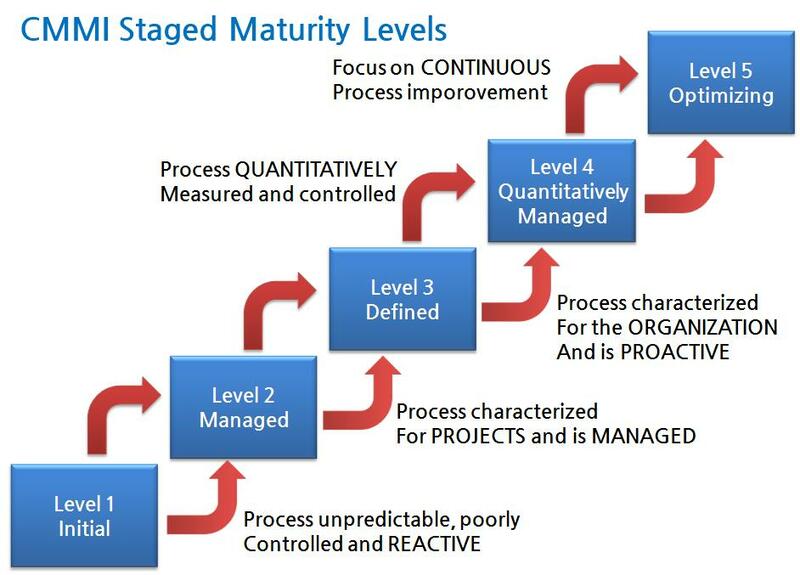 Quantitatively managed process is a defined (capability level 3) process that is controlled using statistical and other quantitative techniques. Optimizing process is a quantitatively managed (capability level 4) process that is improved based on an understanding of the common causes of variation inherent in the process. The levels of the CMMI Version 1.2 is consisting the “22 Process Area”. The below depiction shows the name of all the 22 processes areas along with levels.